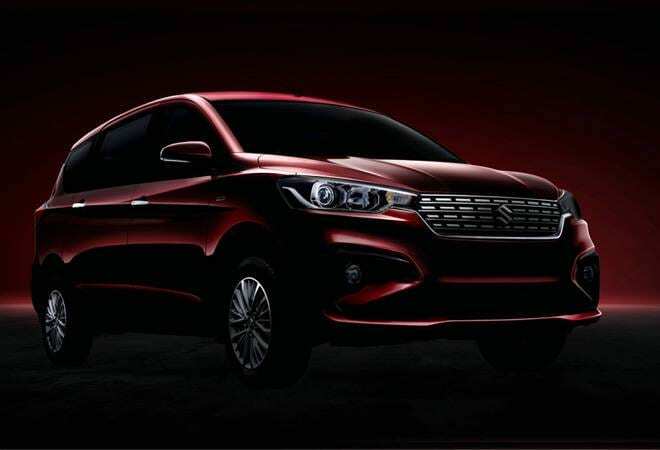 The second-generation Maruti Suzuki Ertiga has been changed inside and out, with a new look to attract younger customers as well as a more powerful petrol engine. Maruti Suzuki launched the latest iteration of its MUV Ertiga in India with prices starting at Rs 7.44 lakh. 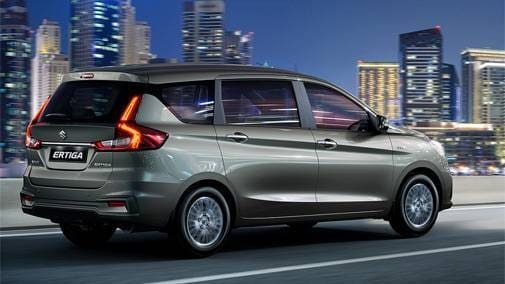 The second-generation Ertiga will be available with both petrol and diesel engine options, as well as automatic transmission for the petrol variants. The car has been changed inside and out, with a new look to attract younger customers as well as a more powerful petrol engine. The petrol variants of the new Maruti Suzuki Ertiga will be powered by the new 1.5-litre K15 petrol engine, which can dish out max power of 77kW at 6,000rpm and max torque of 138Nm at 4,400 rpm. The new petrol engine has been fitted with Progressive Smart Hybrid technology with a Lithium ion battery for improved fuel efficiency. The diesel variants of the new Ertiga have the same 1.3-litre DDiS 200 diesel engine as the outgoing model, producing max power 66kW at 4,000 rpm and max torque at 200Nm at 1,750 rpm. According to Maruti, the petrol engine with manual transmission can deliver fuel efficiency of 19.34 km/l, whereas variants with automatic transmission can cover 18.69 km for every litre of fuel. On the other hand, company claims the mileage for the diesel variants of Ertiga to be 25.47 km/l. 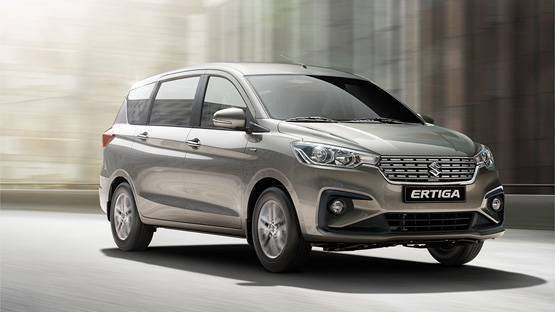 Underpinning the new Maruti Suzuki Ertiga is the fifth-generation HEARTECT platform formed out of high tensile steel for a studier construction and better absorption and dispersion of crash energy. 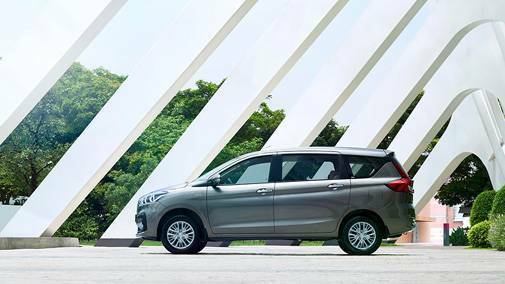 The second-generation Ertiga is also 40 mm wider, 5 mm taller and 99 mm longer than the outgoing model. With an increase in dimensions, the car now has more legroom and a more comfortable third-row seating. On the outside, the new Ertiga features a fresh chrome-studded grille and sleek, projector headlamps. The rear end of the car has been transformed too with a bolder 3D taillight cluster. Inside the cockpit, the second-gen Maruti Suzuki Ertiga has a sculpted dual tone dashboard with coloured TFT screen which shows the vital information about the car. It also has a 17.8 inch touch infotainment system with AppleCarPlay, Android Auto and Mirror Link for connectivity. On the safety front, the new Ertiga comes equipped with dual airbags, high speed warning alert, ISOFIX child seat anchorages, ABS with EBD and brake assist, and reverse parking sensors as standard features across all variants. The Ertiga will come in four diesel variants, Ldi, Vdi, Zdi and Zdi+, and four petrol variants range, Lxi, Vxi, Zxi and Zxi+. The Vxi and Zxi petrol variants will be ones equipped with automatic transmission. Prices for the petrol variants range from Rs 7.44 lakh to Rs 9.50 lakh, whereas the Vxi AT and Zxi AT have been priced at Rs 9.18 lakh and Rs 9.95 lakh respectively. The diesel variants have been priced between Rs 8.84 lakh and Rs 10.90 lakh. The new Ertiga can be booked at one of the Maruti Suzuki showrooms for a token amount of Rs 11,000. Apart from this, the next-generation Maruti Suzuki Ertiga can also be booked online on Maruti Suzuki's website or by calling the toll-free number 1800-102-1800.